A few weeks back, Warcon hosted a 93/94 tournament in Varberg. 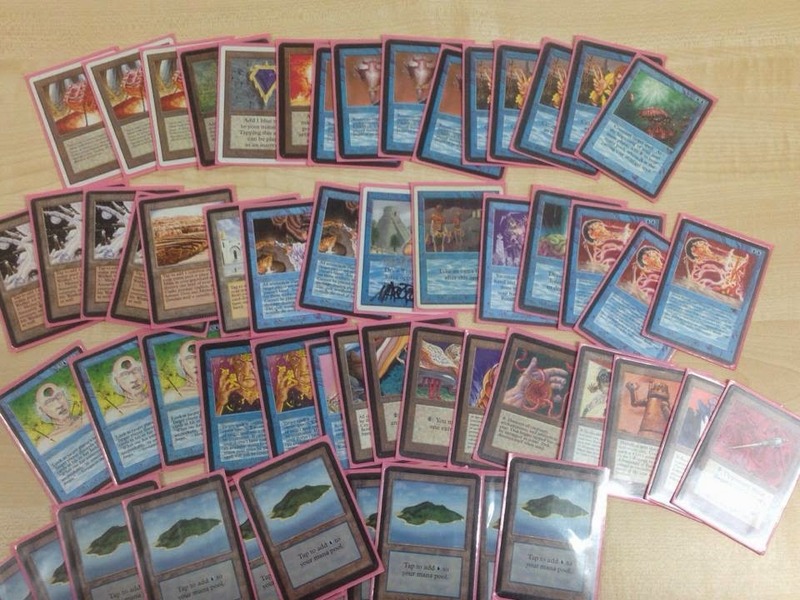 The previous time Warcon arranged such a tournament was in 2012, when Elof Gottfridsson won with a very aggressive version of The Deck (that list can be seen here). 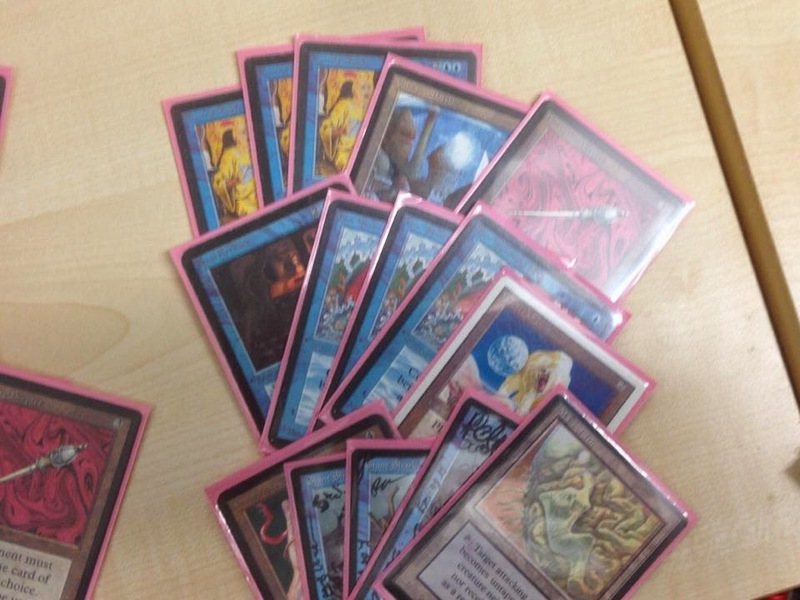 This year, Elof won the tournament yet again, though this time with a monocolored deck. The monoblue artifacts deck is a pretty new creation, and I haven't actually heard about people playing this kind of deck back in the mid 90's. It's fairly similar to one of the top4 decks from the spring tournament in Eudemonia, though this version is much more controlling. This deck only uses a single Su-Chi and a single Triskelion as beatdown apart from the factories, where the Eudemonia deck was more agressive with full playsets of both Su-Chi and Juggernaut. One of the key cards in the deck is Amnesia. It's often feasible to cast Amnesia as early as turn 3, preferably right after an Unsummon or a Hurkyl's Recall. After that, maintaining control until eventually winning is often just a formality. With the three Transmute Artifacts, Elof can dig up both silver bullets like Tawnos's Coffin or City in a Bottle, as well as wincons and card-engines. Another important card that ties the deck together is Mana Vault, which is valued above both off-color moxen and Fellwar Stone here. Turn 1 Vault, turn 2 counter or bounce, followed by turn 3 Amnesia is very hard to beat. I really like this deck! It's very nice to see a "pure" moncolored control deck working so well, and the full playset of Unsummon seems like a great choice. The rest of the top4 decks from Warcon have been posted in the decks-to-beat section. Apart from this deck and Sehl's monoblack, we have Freespace's Juzam Smash and Andrea's Leo's very nice GWR Ehrnamgeddon. As another side note, this week I added some ad banners to this blog. If they appear annoying, I will remove them again. Otherwise, if they would generate any small amount of money, I'll use that to try and generate some additional value for the blog (e.g. buying old books to review, or find some bonus prices for tournaments in the format). Love the updates, and love the format! do you know if there is a 93/94 community in Denmark? Great update as usual and I really love Elof's deck!